How can artificial intelligence fuel the logistics industry? Artificial Intelligence is the buzzword of the year with many big giants in almost every industry trying to explore this cutting-edge technology. Right from self-checkout cash registers to AI-based applications to analyse large data in real-time to advanced security check-ins at the airport, AI is just about everywhere. Currently, the logistics industry is bloated with a number of challenges related to cost, efficiency, security, bureaucracy, and reliability. So, according to the experts, new age technologies like AI, machine learning, the blockchain, and big data are the only fix for the logistics sector which can improve the supply chain ecosystem right from purchase to internal exchanges like storage, auditing, and delivery. 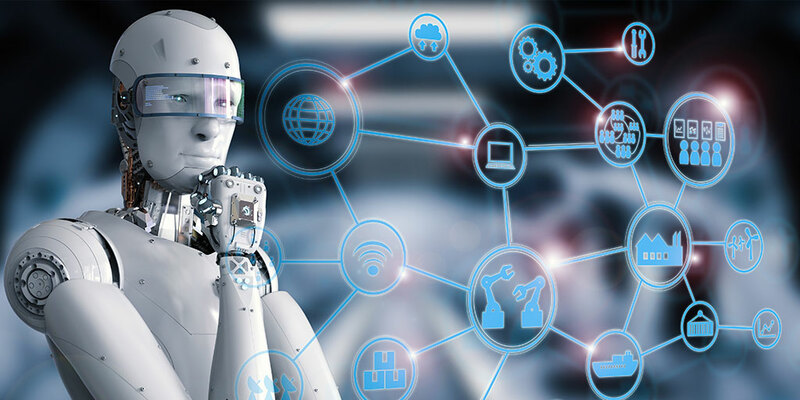 AI is an underlying technology which can enhance the supplier selection, boost supplier relationship management, and more. When combined with big data analytics AI also helps in analysing the supplier related data such as on-time delivery performance, credit scoring, audits, evaluations etc. This helps in making valuable decisions based on actionable real-time insights. Here are a few ways in which AI has contributed to the logistics industry. It’s now easy to improve the relationship between the logistics provider and customers with tailored solutions using AI. For e.g. The world’s leading logistics company DHL Parcel in cooperation with Amazon provides voice-based service in order to track couriers. This way their customers can get the shipment information using Amazon’s Alexa just by using speech recognition technology. Echo can also signal DHL for assistance in case of any problem with the shipment which can be later redirected to the customer assistance department. AI works best for production planning and factory scheduling as it helps them to balance the constraints automatically. For e.g: AI can be used to reduce the supply chain latency for most popular or highly customized products. It can predict the demand and optimize the flow of those critical parts in order to keep the production moving smoothly. With the development of supercomputers, AI contributes in significantly improving the processing power as well as the efficiency. The latest example is the development of the GPU (Graphical Processing Units) to expand the CPU functionalities to a great extent. The innovative algorithm of AI helps in detecting patterns and the discovery of correlations which are otherwise difficult or impossible to find by humans or conventional technology alone. This smart algorithm by AI is used to get information about the number of trucks available for delivery in real-time which can then be useful to know the price and approximate time frames for future deliveries. In England, you may find large warehouses that have automated operations run by robots who are able of completing around 65,000 orders (nearly 3.5 million grocery items) over the course of a week. Using the operational capacity of the “hive-grid-machines” designed by the British online grocer Ocado, these automated warehouses are capable of moving, lifting, and sorting grocery items, which are then packaged and sent out for delivery. This hugely reduces the amount of time it takes to complete the majority of the company’s online orders. The increased data reliability introduced by these new technologies might cover the way for the back office AI in logistics. The digitization of transaction data is becoming more secure and widespread which allows AI to take over menial but as well as technical paperwork. Banks, accounting firms, and insurance companies are already using this type of technology to streamline the processing of client data and the logistics industry is making its moves to take benefit of this tech as well. AI when coupled with other intelligent technologies and the vast amount of features it brings along is all set to redefine the entire global supply chain while creating sustainable value. AI is still in its nascent stage but when compared to the prevailing technologies and process in the global supply chain, it can be the salvation for the industry.